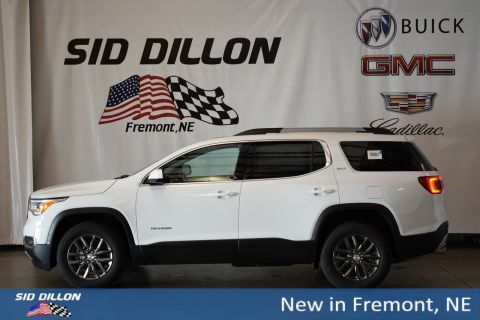 Sturdy and dependable, this 2019 GMC Acadia SLT makes room for the whole team. Tire Pressure Monitoring System with Tire Fill Alert, Tire Fill Alert provides audible alerts outside the vehicle when inflating an under inflated tire to the recommended tire pressure., Teen Driver configurable feature that lets you activate customizable vehicle settings associated with a key fob, to encourage safe driving behavior. It can limit certain vehicle features, and it prevents certain safety systems from being turned off. An in-vehicle report card gives you information on driving habits and helps you to continue to coach your new driver, Rear Vision Camera, Rear seat reminder.